Trainer Luke Pepper can see nothing but positives for handy sprinter Viceroy at Canterbury on Friday night. 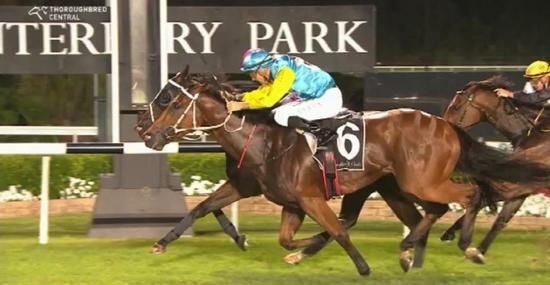 The five-year-old drops to midweek company in the #theraces Handicap (1100m) after two gallant efforts at Randwick in January, including his luckless fifth behind Faraway Town two Saturdays ago. Pepper said it’s never easy to find the perfect race for a horse in city company and sends Viceroy to town in fine fettle. “It looks ideal for him, he’s been going really well and going back to Canterbury is a positive,’’ Pepper said. “He’s drawn a good gate and he’s found the right race being a colts and geldings race. I didn’t want to step him up to 1300m on the Saturday. Viceroy has been to Canterbury three times for two wins and started this preparation with a last stride victory at the December 15 night meeting. Pepper said he had a range of emotions watching the gelding at Randwick last start as he was forced to race wide throughout, but was still only beaten 2.4 lengths, finishing fifth. “It was funny watching, I thought he was going to be beaten a fair way on the corner, then he ran up to them to win,’’ he said. Since that run Pepper has been in the fortunate position of being able to keep Viceroy ticking over with a few mental challenges rather than physical ones as he’s hard fit. Viceroy likely to be given a short time in the paddock after Friday night as he’d like to aim the gelding at the Wagga Town Plate on May 3. “He’s a very easy horse to train, very easy going,’’ he said. “He’s like the stable pet to tell the truth. He’s pretty fit now and it’s just a matter of keeping him mentally happy and well. “He’s popped over a few jumps, he’s in the pool a lot, and we break up his work a bit to keep his mental game on point. Whether Viceroy makes the trip solo or has a travelling companion in stablemate Iltextya is something Pepper will decide prior to scratching time. The mare has accepted, and is an emergency, in the Tab.com.au Handicap (1100m), but may be saved for a provincial race next weekend. “If she gets a run we may run her, but there’s an option to run her a week later at Kembla,’’ he said.